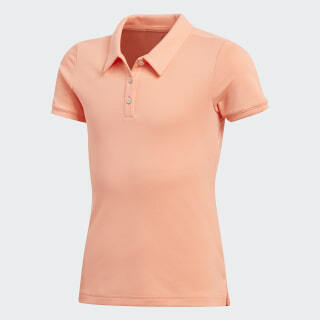 A collared polo shirt designed sunny days on the links. Dominate the leaderboard in this junior girls' golf polo shirt. 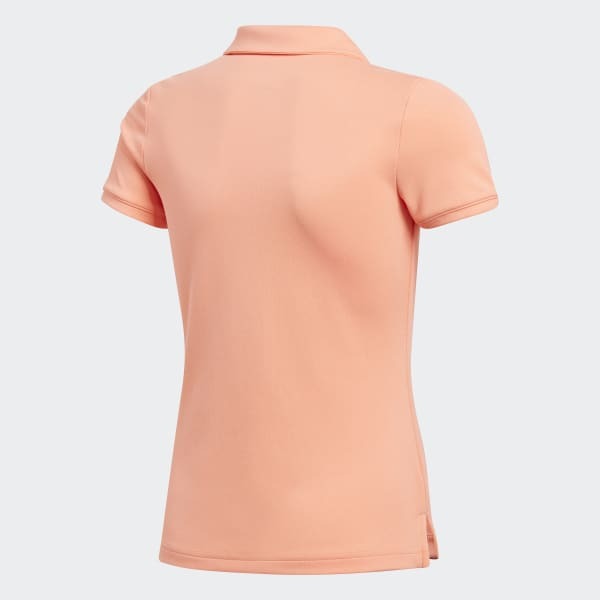 Featuring a self-fabric collar and three-button placket, this shirt has built-in UV protection to keep you on the course during summer rounds. A metallic adidas Badge of Sport shows your winning mentality.